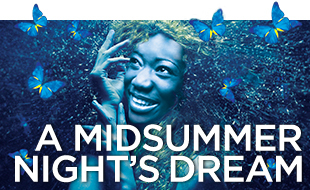 I'm Assistant Directing Chicago Shakespeare Theatre's upcoming production of Midsummer, directed by Joe Dowling. The team is amazing, and the play is right up my alley-- a love story/identity crisis. I've been selected as part of the Stage Directors and Choreographers Foundation Observership program, which provides early to mid-career directors and choreographers paid opportunities to observe the work of master directors and choreographers as they create productions on Broadway, Off-Broadway and at leading regional theatres across the country.